FOR YOUR CLIENTS (AND YOU)! You can do this training from anywhere! Convenient and Flexible 100% on line + Live calls all recorded for you to keep. There are 4 Live calls over the 4 weeks in April. You can join the calls live or listen to the recordings. 4 live training calls and 4 practice skills labs with a partner = 8 Amazing calls! + The most powerful questions to ask to get to the root of healing in any therapy situation or coaching conversation. + How to coach anyone who is stuck (including yourself). + How to stop sneaky self-sabotaging behaviors and limiting beliefs from running the show. + How to release outdated fears of being seen and heard. + How to align who you are with what you want which makes you magnetic to receive. + How and when to go deeper with your clients. + How to let go of the shame, guilt, and resentment that hold you or your clients back. + How to use the Transformational Communication Method to facilitate lasting change in yourself and others. + How to get crystal clear about what you desire in all areas of your life. and the more you'll attract people who will happily pay. + Recordings to keep and listen to any time (Which is great if you can't make the live calls)! * Don't worry If you can't make the calls live, everything is recorded and saved for you to listen to and keep! One Personal 1:1 Coaching Session Just For You! We all need personal attention and so do our businesses! 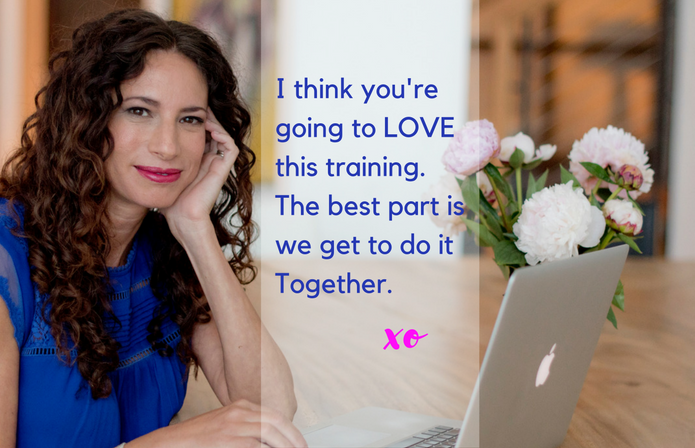 That's why I've added this special bonus: You will receive a full 60- min private TCM coaching session with me to focus on whatever you like; your business, your income, your relationships, your life. This is an opportunity for you to sit back, relax and RECEIVE the amazing TCM™ work just for yourself. * There a limited number of 1:1 Bonus spaces available. Bonus coaching sessions are scheduled on a first come first served basis. So don't delay! Say YES to More Pleasure + Joy for YOU and Your Clients! This training changed everything for me. my clients have been blown-away by the results they're getting AND my income doubled all while working less hours, having more fun and being myself. Of course it's not all about the money, although making a great living doing what you love feels great. It is about feeling GOOD while serving the world and making our planet a happier, healthier, more loving place. As therapists we give so much. This training will give YOU a boost! I can’t wait to share these AMAZING tools with you! We can only take our clients as far as we are willing to go. For full CE information, click here.